“Now, there is no gatekeeper. Neil Gaiman’s thoughts on writing. So, you’ve written your book and you want to get it out into the world – how do you publish it? Here is our comprehensive guide to self-publishing and the questions you’ll need to consider. The intention of this article is to give an overview of the different approaches that you can take, so you can find the one that is best for you and your book. At CompletelyNovel, we like to do things a little differently and offer high-quality, professional print-on-demand publishing for a low, monthly subscription. You can find out more about publishing with CompletelyNovel at any time, by clicking on the ‘Publish’ tab above. Your options – how exactly should you self-publish? Should I use professional editing services? Remember, even a great book needs someone to sell it! Why not get a traditional publishing company to publish your book? A number of changes in the publishing industry over the past ten years have meant that although more titles are being published, there are actually fewer opportunities for new authors to get a ‘traditional’ publishing contract. Publishers’ margins on books have decreased considerably. There are now fewer major publishing houses in existence than there used to be. Those that do exist have focused more on publishing books that have a proven track record, or have celebrity names attached to them, so they can guarantee a certain number of sales. This leaves new authors in a difficult position in relation to these ‘traditional publishers’ and increasingly, self-publishing is becoming the best way to get your books read. Some début authors have found that they have very little marketing assistance from their traditional publishers, leading many authors to seek out self-publishing options so they can keep a higher percentage of royalties for their efforts. You can find out more about how the traditional publishing industry operates on our traditional publishing page. Can I self-publish and ‘traditionally’ publish? Yes! In fact, more and more authors are now doing both. These are sometimes refereed to as ‘Hybrid’ authors, and they are authors who might have landed a traditional contract after self-publishing, or have self-published books alongside their traditionally published books. CompletelyNovel sends its top books to Greene & Heaton literary agency each month, as part of a recent partnership. We found that some CompletelyNovel authors were continuing to look for representation whilst self-publishing, and as Greene & Heaton are always on the look out for the next big thing – we opted to collaborate with them to help authors achieve their goal. You can find out more about this partnership in our news room. Whatever option you choose, it’s important to go in with your eyes wide open. Publishing and selling books are very competitive fields, and all of the potential avenues have advantages and disadvantages. Spend a good amount of time weighing up the options so you can find the route that’s best for you. We have some tips for doing this, below. This has a big influence on the right option for you. Did you write your book with a view to selling large numbers of copies commercially, or are you simply aiming to print copies for family and friends? Do you have a market already, or are you starting from scratch and so will need to build your market as you go? Bear this in mind when you start reading through the advice below. 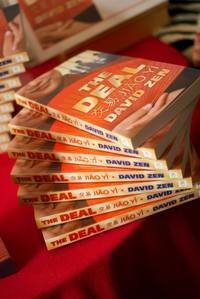 Are you hoping to use self-publishing as a stepping stone to getting a publishing contract? If so, then you need to think about what publishers will be looking for, and how you can best deliver that. There’s some great advice on this from agent hunter Harry Bingham, here. Research your options - how exactly should you self-publish? You’ve probably seen or heard of a few different self-publishing companies who will help you publish your book. We outline three of the ‘main’ options below, or, you can check out this infographic. One option is to go it totally alone and, effectively, be your own publishing company. This will mean that you will need to manage all stages of the book creation, distribution and marketing yourself. Starting your own publishing company has never been easier, but it’s still going to require a lot of time (and most likely a lot of money too). Bear in mind that you will need to take on (or find someone else to take on) designing, creating and producing a PDF of the cover (this requires a certain degree of manipulating PDFs and using design programs such as Adobe InDesign or Quark) and setting up all the relationships you need with printers (you’ll need to learn about book sizes, paper types and binding). You’ll then need to set up your links with distributors and retailers too. This is certainly easier than it used to be, but requires getting to know a number of different systems, interfaces and often costs money to set up. Main advantage: Starting your own publishing company offers the most freedom in terms of how the finished product will look. Main disadvantage: Self-publishing this way is likely to be more expensive in terms of time and in terms of the money you will need to spend upfront. You can also use an online, low-cost self-publishing service such as CompletelyNovel.com to cut out a lot of the technical skills, time and money needed to self-publish, but ensure that you still have the freedom to make your book look as you want it to. You may want to source editing and design services alongside this, or you can use online tools to create your book yourself. These self-publishing services are generally linked to print-on-demand printers. Companies such as CompletelyNovel shouldn’t take any rights to your work, so you’ll still be able to pursue options for publication elsewhere. This is generally the cheapest option, because the companies will have automated the majority of the processes involved in publishing a book, and will handle the registering and distribution of the book on your behalf. Main advantage: usually very little upfront cost and a more flexible option. Main disadvantage: you may want to source expert editorial and design services yourself. CompletelyNovel are a publishing platform – compare our way of publishing to CreateSpace, here. There are other self-publishing services that cater for people who have very little time, and want to hand over as much of the technical aspects of producing their book as possible to someone else. You will usually liaise with the company directly and there will generally be ‘packages’ offered which may include editing, design and other services. These can cost from £600 / $1,000 up to £20,000 / $25,000 dollars for the most expensive ones. Be aware that this upfront charge won’t necessarily include the actual printing of the books, and it may still be largely down to you to market and promote the book. Main advantage: not much of your time is needed to get the book produced. Main disadvantage: you can often end up paying a lot for services you don’t need and it’s not normally very transparent as to who will be providing those services. There’s nothing to stop you approaching publishers and agents while pursuing the self-publishing option. If you can use self-publishing as a way to build up your profile, establish whether there is a market for your book and essentially build your ‘business case’, then you could seriously improve your chances. ‘Vanity Publishers’ are ‘publishers’ who will tell you that you have a great book and offer to publish it for you, but charge you a lot of money for what is actually very little value. They may tell you that your book is sure to sell many copies, insist that you pay for a print-run of thousands, and then expect you to take these books and sell them yourself. Many of these vanity publishers will take the publishing rights to your book. They very rarely offer any help with marketing or sales and should generally be avoided. If you’re worried about stumbling across a publisher like this, we recommend googling the company name and read what reviews have been posted on independent websites. You can also check out Writer Beware hosted by SFWA for a list of suspicious agencies and publishers. If you are serious about self-publishing successfully, we recommend joining the Alliance of Independent Authors who offer support and advice on all things independent. CompletelyNovel are proud partner members of ALLi and we’ve been vetted by their watchdog desk. If you’d like to read the opinions of successful non-fiction authors on why self-publishing is the way to go, read guest posts by Richard Grady and Tony Robinson OBE on the CompletelyNovel blog. It’s important that your book looks professional and the downfall of many self-published books is that they look, well, self-published! It’s worth taking a good, hard look at how the professionals do it. Study books that have been published in the same genre or subject area as yours – what do they have in common? Then go about making your book fit in. More about this here. Unless you are a very experienced designer, avoid creating a cover that looks radically different. A book cover needs to be unique, but more importantly, it needs to communicate what your book is about. Think how similar the covers of thrillers are – that’s no accident. More about cover design on our advices pages, here. What will your cover look like as a thumbnail? With more and more people buying their books online now, bear in mind that your book has to stand out as a thumbnail image. Test this by shrinking your book cover down to about an eighth of its full size. If you can’t read the title or author name and nothing else stands out, then you should look at increasing those font sizes and bringing up the contrast with stronger colours or bolder text. Should I hire a professional book cover designer? It’s not essential to use a professional book designer, but some professional input can make a big difference, especially when it comes to creating something both striking and able to fit in with the current trends. If you can budget for a professional cover design, then we recommend doing so. Here are some cover designers we trust. When deciding on a designer, don’t be afraid to ask questions about the designers themselves (What experience do they have? How much time will they spend on your design?) It’s important to know what you will actually be getting for your money. Don’t go with the first offer you see without checking out other options. Printing companies tend to have very strict requirements on how book covers are formatted. Amongst other things, you need to ensure that the bleed is correct, the right colour set is being used, the cover is a high enough resolution and the spine width has been calculated correctly. Thankfully, there are some great online tools to help authors do this without any need for specialist software knowledge. CompletelyNovel’s cover creator, for example, enables you to drag and drop images onto a template, and then it sorts out all the complex sizing and saving elements for you. Find out more about designing your cover using a template. You can study professionally published books to find out the relevant standards for typesetting. Most novels, for example, look very similar on the inside, with only subtle differences or embellishments when it comes to chapter headings. We recommend that you take a look at these general tips on how to get your manuscript looking professional and, for further advice, at this advice from a professional typesetter. If you’re publishing with CompletelyNovel, we also have a free typesetting guide. Learning to use some of the more advanced tools in Microsoft Word such as page breaks and paragraph styles, as well as taking time to format the main body of your text, is well worth your time. However, if you feel like you need a little extra help or reassurance, CompletelyNovel also offer a typesetting service to help make your manuscript look as professional as possible, for only £30 / $45 per hour (most books taking 1-2 hours). We also give plenty of tips on this alongside literary agents and editors, in the Get Your Book FIT course on Udemy. If you’ve spent a long time writing your book, it’s worth spending a decent amount of time editing it too. Of course, you will probably have been editing it as you went along, but it’s notoriously difficult to edit your own work well, so it’s worth getting an outside opinion before you publish it. It’s definitely worth getting someone to read through your book, at the very least someone who you trust to spot the things you might have missed. Remember to take all advice from friends and family with a pinch of salt, unless they happen to be a major editor. Writing and reading can be really subjective, so because one person doesn’t like it, it doesn’t mean everyone will feel the same. Using online communities to get feedback on your book can also be really useful. You can use these communities to connect with other readers and writers to get an independent view of your book. Why not ask other writers if they would mind having a look through your book and sharing their editorial comments in return for you doing the same for theirs? Connect with authors in the CompletelyNovel community. Writing groups can be very useful and offer a great opportunity to get some honest and knowledgeable feedback on your work. Reading your work aloud is also a proven way to test for clunky sentences, or missed typos. You want to make sure that your book looks professional. We’ve heard from a number of writers who’ve said that professional editing services have helped them enormously, and that it was exactly the kind of independent, informed feedback they needed to get their manuscript in good shape. To get the most from an edit of this kind, you need to have the right attitude and be able to handle some constructive criticism – be prepared for editors advising you to ‘kill your darlings’. Remember that professional editing is still just one person’s opinion, but if they are a well-respected editor, it’s certainly worth taking it seriously! In order to find a good quality, good value editor for your self-published book, it is best to go by recommendation if you can. Talking to other writers either through writing groups, writing courses or conferences and asking “who should I use to edit my book?” can be very helpful. Here at CompletelyNovel we offer recommendations of editors we trust, here. Gone are the days where an author needed to invest large sums of money into a long print run – often incurring storage fees (unless you happen to have a large house), the faff of posting the books yourself and the fear that the books wouldn’t sell. Print-on-demand technology has come a long way and it is now an efficient alternative for self-publishing authors to print and distribute books with no upfront fees, without compromising on the quality of the book. With print-on-demand, books are literary printed in runs as little as one copy and only when an order appears. Also, as the books are often sent direct from the printer to the retailer or reader, the author doesn’t need to handle the sending of the book at all. The print price of the book is taken from the retail price by the printer, so the author should only ever receive royalties as profit – taking away the risk associated with print publishing. However, as you’d expect, buying books in bulk means the individual price of a book will generally go down. Buying long runs of your book might be a good idea if you are selling copies face-to-face at events and you have an existing client base. Find out more about the price of printing in bulk here. We also have more information on print-on-demand here. It is traditional for mainstream publishers to release a hardback book before a paperback. However, you must give some serious thought about whether this type of release is suitable for your self-published book. Hardbacks are generally very expensive to set-up and produce through print-on-demand, and you’ll find it difficult to be able to sell the book for a viable price (and still make a profit). For this reason, self-published books are nearly always paperbacks. POD paperbacks are much more affordable, but be aware that the quality can vary. Different printers might use different paper or cover thicknesses, and there may be a requirement to print a certain number of copies. Proof copies are essential – make sure you never order a big quantity of books without getting a proof first. Find out more about the printers CompletelyNovel use for high-quality POD paperback printing. eBooks have boomed over the last decade and there are now lots of opportunities for writers to publish for a low cost by creating an eBook. There are a variety of different eBook formats – ePub has now emerged as the favourite, but you may also want your book to be available as a PDF (standard format) and an .AZW file, as this is the proprietary format being used by Amazon. You can pay people to convert your book into an eBook Format for you, or you can use some of the free services available on the web such as Calibre. Doing it yourself may take longer, but it is another way of cutting down on the costs of self-publishing. We’d definitely recommend doing some online searches and looking for forum discussions on eBook conversions, so you can get up to date with the latest tips from other self-publishers. ISBN stands for International Standard Book Number and is often associated with a barcode you find on the back cover of a book.You will need an ISBN if you want your print book to be stocked in the traditional retail and mainstream online channels. Each country has its own supplier of ISBNs who you will need to contact. In the UK it is Nielsen who is responsible for dishing out ISBNs. Click here to learn about the CompletelyNovel a Plus Plan, which gives you two ISBNs. If you want your books to be available in a variety of book retail channels, you need to consider how your book will be distributed. Some print-on-demand companies handle distribution in-house and many will have a website from which customers can buy your book directly. If you sell through these platforms, you will usually be able to keep a decent amount of the royalties. For example, CompletelyNovel allows readers to buy books direct from CompletelyNovel.com, as well as with third-party retailers such as Amazon. If you want your book sold through retailers, many self-publishing companies can set this up for you. Retailers and distributors will require a cut of the sale price of the book, so you will need to sell the book to them at what is known as a ‘trade discount price’. This is between 30% and 60% lower than the retail price, so it may mean that you need to set the price of your book quite a bit higher and have a much lower royalty. On CompletelyNovel, retailers take a 30% discount, and as we don’t take any commission from your book sales, you can keep 100% of the remaining royalties. See how this compares to other platforms on this price comparison infographic. If you want to handle your distribution yourself, you may need to visit each book shop individually and handle any mail orders on your own. Some bookshops will accept a limited number of your books on a ‘sale or return’ basis, so if they don’t sell, then you will have to pick the books up at a later stage and issue a credit note. It’s important to really weigh up the value of your book being in a physical bookshop. Unless your book will get a good spot at the front of the shop, it’s not likely to be worth your while in terms of copies sold vs. time it takes to complete the order. If you have a digital edition, there are a number of different eBook channels that you can sell into. Many have tools for self-publishers to upload and sell books through this. If you use a self-publishing service, they may offer distribution into these channels too. Check what’s on offer, as this is an area which is growing quickly. If you want to sell your book beyond your family and friends you will need to market it, and it’s wise to consider how you’re going to do that before you self-publish. A lot of authors we speak to often let this idea of marketing hold them back from self-publishing. In our experience though – any author with the passion, creativity and drive to write and finish a book can then market it, with the right tools and information. The best advice we can give about book marketing is to throw the same creative energy you used to write the book, into marketing it. Think outside the box, keep reading and learning, and don’t give up until you really have to. 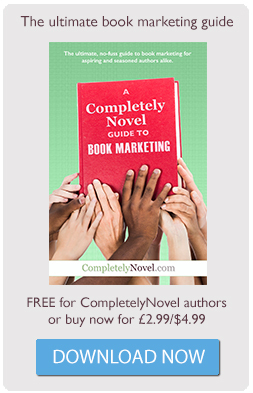 You might like to read more about ways to market your book in our CompletelyNovel Guide to Book Marketing. It’s useful to start building up a network of contacts before you publish, or consider crowdfunding your book. We’d recommend that you come up with several different avenues that you can pursue, as you are likely to find that some of them work better for you than others. You should consider blogging (and which other blogs you should contact), marketing through other social networks such as Facebook and Twitter, online communities and setting up a mailing list. Consider new and traditional channels – from getting in touch with your local newspaper, to buying Facebook ads, there are lots of options. Don’t rule anything out, even if initially it takes you quite a way outside your comfort zone – it’s often worth playing around and seeing how you get on. More advice on how to start marketing your book, here. It’s important to be realistic and remember that even if your book is a masterpiece, there is a lot of noise and competition in the current book market and it takes real perseverance to make your book successful. However, if you have self-published your book, success will taste all the sweeter when it comes. So, stay focused and positive but be prepared for hard work… and don’t quit your day job just yet! Self-publishing is an industry that is changing all the time. There are lots of different players out there and printers who are developing their technology in a way that is opening up lots of new options. There are plenty of new opportunities emerging online in terms of digital publishing, too. Whatever the future holds for self-publishing, it’s sure to get bigger and better! It’s such an exciting time for writers, and we are so pleased to be working in such an exciting industry. The variety of options available when it comes to self-publishing means that the amount of money it costs largely depends on how much you can afford to spend. Just because you can self-publish at a low cost through online services such as CompletelyNovel, it doesn’t necessarily mean that you should aim to do everything for as little money as possible. What it does mean is that you can focus your cash on the most important aspects for you. So, a total of under £140 should get you well on your way. As the saying goes, you need to speculate to accumulate – hopefully you will earn this investment back (plus some extra) in royalties once your sales start picking up. The rest of your investment will be in terms of the time spent getting into the social networking game, learning a thing or two about typesetting and cover design, and convincing your contacts to read/buy the book.